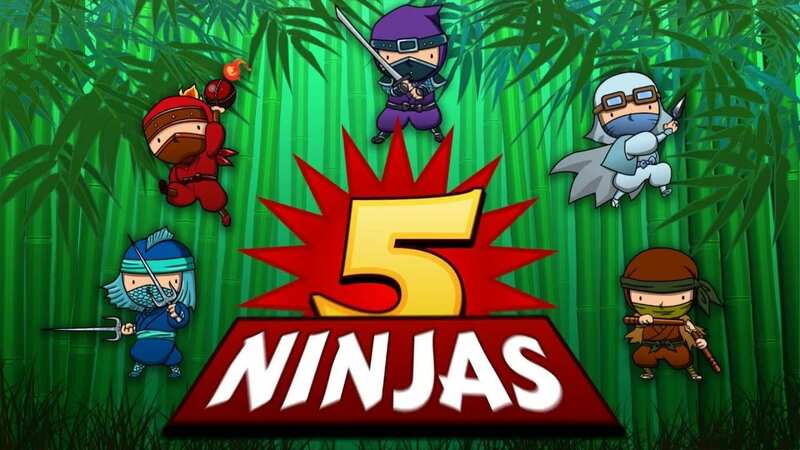 5 Ninjas is a 5 reel, 25 payline online slots casino adventure built around throwing knives, nunchucks and cute, colourfully dressed ninjas. Unlock the secret ninja prize pick to see what lies behind the concealed doorways at Wizard. Brisbane Australia’s own signature game developer Eyecon is known not only for its deep-rooted passion for creating unforgettable online experiences, but also ways in which to also push themselves forward within an industry that has thousands upon thousands of titles. Another miraculous game to try and view our online slot games collection as well. How many times have can you say you've been a ninja? We’ll answer that for you, not enough. Good job that 5 Ninjas is here to change all that. 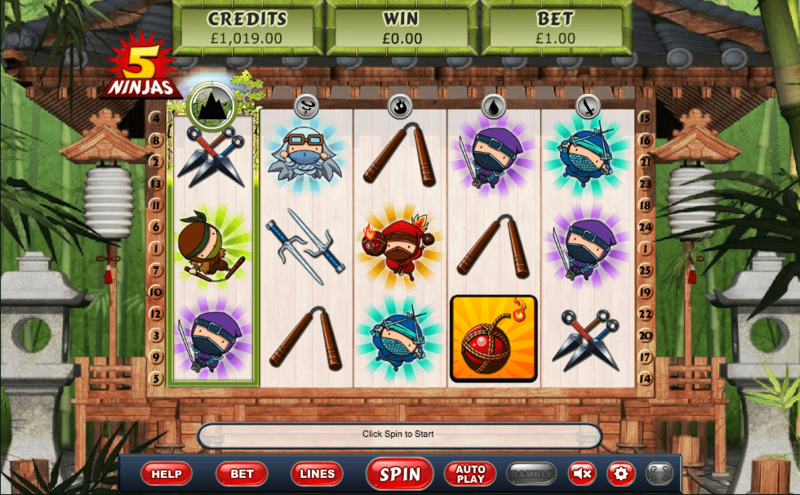 5 Ninjas is an all-new 5-reel, 25-payline slot from the very talented team at Eyecon. Based on the ever-illusive theme of martial arts, you will be transported to the life of a ninja. This is your new life now, use your ninja skills wisely. stars), nunchucks and sai are to name a few. If you've hooked into action filled games, then check out our list for you to play top 10 slot games. The game’s Wild will substitute all of the game’s symbols, aside from the Element and Coin symbols. Further to this, Wild symbols may only appear across the game’s 2nd and 4th reels, making them all the more elusive (yet still completely worth looking out for!). Wilds represent 5 Ninjas’ most lucrative combos, as all prizes won with a combo towards which they contribute are instantly doubled up in size! The ‘Secret Ninja Prize Pick’ bonus round invites you to select a door to release one of the 5 Ninjas. You could earn a prize of up to 100x your total wager! Phenomenal! You can keep choosing doors until all of the Ninjas are free, or until the guards stop you – good luck! This game's setting is meant to represent that of a dojo, this is where even the strongest of warriors will rest. Lucky for you that you aren't a ninja and can enjoy winning a lot of money to your heart's content without the stress of being a ninja! The bright colours of the dojo make this game very pretty to look at, with the graphics really bringing across the desired theme that Eyecon was aiming for. Once you've finished playing slots maybe have a go at online poker instead?